After sheer failure in the previous years by Nigerian Government to clear itself from all terrorist tendencies, religious extremism and security lapses, the Nigerian authorities have recently posed some surprises by sending back to Nairobi, (Kenya capital City) a Jamaican-born Islamic cleric, Abdullah al-Faisal, who is notorious for preaching racial hatred and Islamic fanatism. This step is reactionary to the US step by blacklisting the country; as it is known that Nigerian government does not have records of proactiveness especially on issues of security. According to information made available to huhuonlone.com, a Kenyan minister had said Abdullah al-Faisal was being deported to Gambia after attempts to send him overland to Tanzania had failed. This development is coming days after the man at the centre of the storms was expelled from Kenya. Reports say that airlines refused to take him from Nigeria to Gambia and his Nigerian transit visa expired. Kenya said Faisal was being deported because of his "terrorist history". Further tip off shows that there are number of other Islamic fundamentalists whose place of aboard is now in Northern Nigeria. Some of them are from countries like Niger Republic, Lake Chad, Libya and even Yemen among other countries. Who truly is Abdullah al-Faisal? Records have it that the cleric, Abdullah al-Faisal was an ex-convict who served 4 years in a UK Prison after being convicted of soliciting the murder of Jews and Hindus. His lawyer arranged for him to speak to reporters from his prison cell in Kenya with the plot to paint him innocent. Faisal's lawyers during that period say they will go to court for an order that he should either be charged or freed. Al-Faisal was arrested on 31 December after attending prayers in the coastal city of Mombasa. 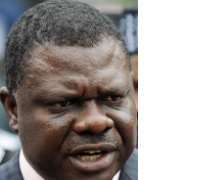 Kenya's Immigration Minister Otieno Kajwang said Faisal was on an international terrorist watch-list, but the cleric denied that when speaking from Prison. Moreover, a Muslim human rights group has condemned his treatment. ''We don't understand why he is there (prison) because he has never been charged in court,'' said Muslim Human Rights Group head Al-Amin Kimathi. Faisal was born Trevor William Forrest in St James, Jamaica - though he left the Island 26 years ago, initially living in the UK. His parents were Salvation Army officers and he was raised as a Christian. But at the age of 16 he went to Saudi Arabia - where he is believed to have spent eight years - and became a Muslim. He took a degree in Islamic Studies in the Saudi capital of Riyadh, before coming back to the UK. Faisal spent years travelling the UK preaching racial hatred urging his audience to kill Jews, Hindus and Westerners. A year after being deported from the UK in 2007, he was preaching in South Africa. The Kenyan authorities said Faisal had arrived in Kenya on 24 December after travelling through Nigeria, Angola, Mozambique, Swaziland and Malawi and Tanzania. Further checks exposed the roles played by most of the Northern Nigerian leaders, who have one way or the other represented many Islamic interests which have the tendency to promote, sponsor or incite religious extremism. Huhuonline.com was hinted that even Alhaji Umaru Abdul Mutallab's hand is not clean; it would be recalled that his 23-year old son (the youngest of his 16 children) Umar Farouk Abdulmutallab, was implicated in the attempted bombing of Northwest Airlines Flight 253. The suspect's father, Alhaji Umaru Mutallab, reportedly informed unnamed figures in the Nigerian and the United States intelligence services sometime in 2009 that his son was leaning towards extremist tendencies. While the American government had confirmed that an intelligence officer in the US Embassy in Nigeria received the suspect's father's report, no Nigerian security agency had confirmed receiving such information. A presidency source, who declined to be named because of the sensitive nature of the matter, said the investigation would examine counter-claims that the retired banker did not make a formal report to the State Security Service, Nigeria Police or Nigeria Intelligence Agency. Other sources said Alhaji Mutallab only gisted with the Nigerian intelligence operatives and it was not documented or portrayed as a serious issue that can undermine the security or image of the country under any guise. However, even has he has purportedly told the world about his son's ''extremist tendencies'' he has failed to also inform everyone that he played many roles in defending and promoting Islamic interest even with the wish to make the entire Nigeria an Islamic state (Organization of Islamic Conference). He played a major role in introducing Islamic banking into Nigeria (Nigeria's first Islamic bank, Jaiz Bank International Plc, which was established in 2003). Alhaji has equally failed to make it a common knowledge that his son has strong bond of nationality in Yemen because his biological mother (one of Alhaji's numerous wives) is a Yemen national. All these have been kept as secrets, and most unfortunately Nigeria has been placed among the countries that are prone to terrorist tendencies, a development that has destroyed the bilateral and diplomatic ties between Nigeria and United States of America.